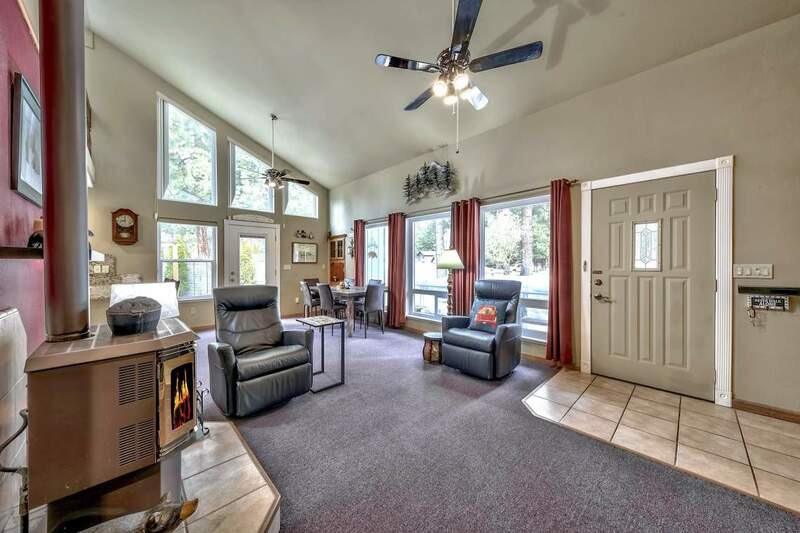 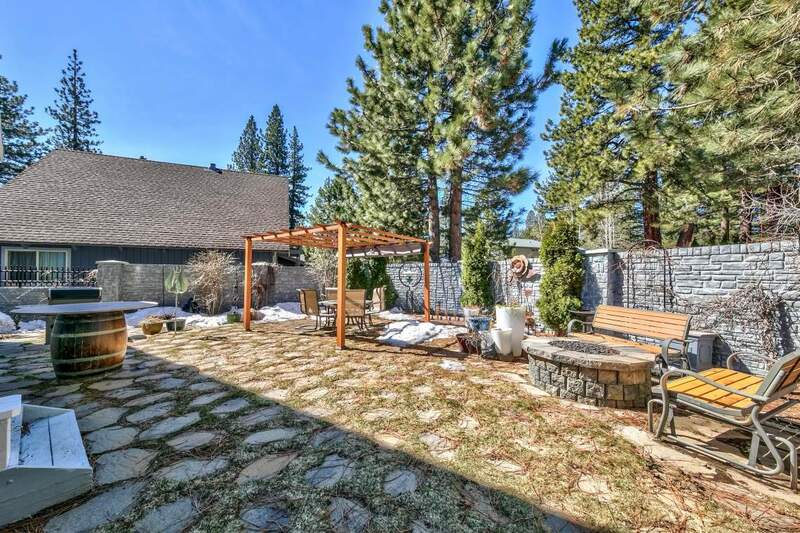 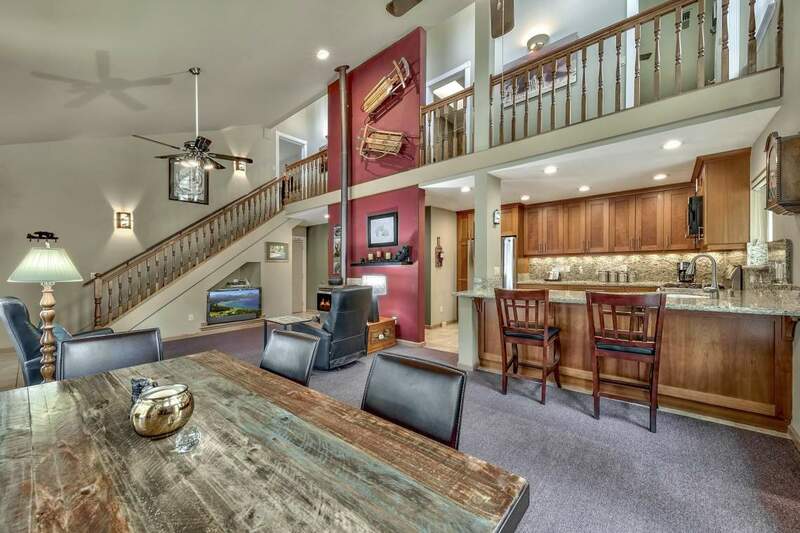 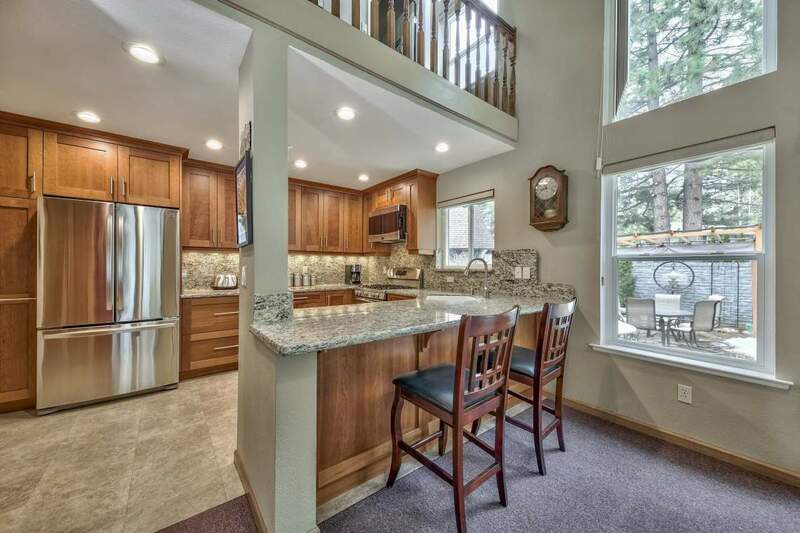 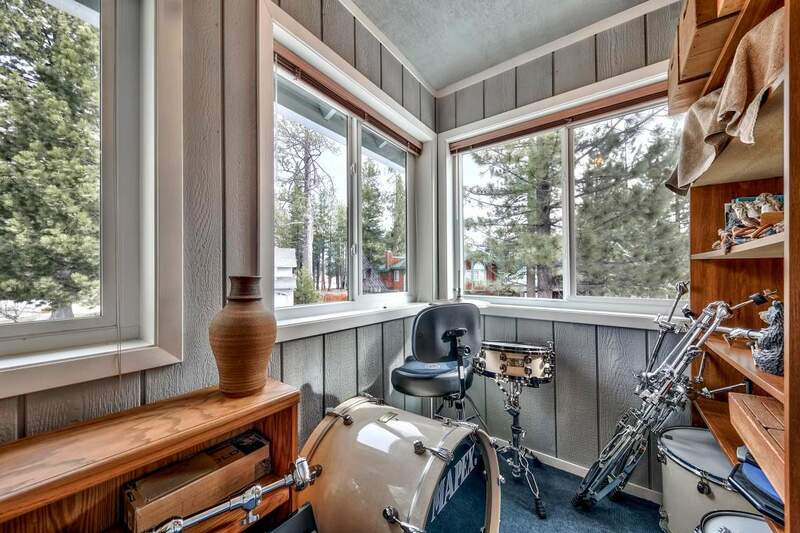 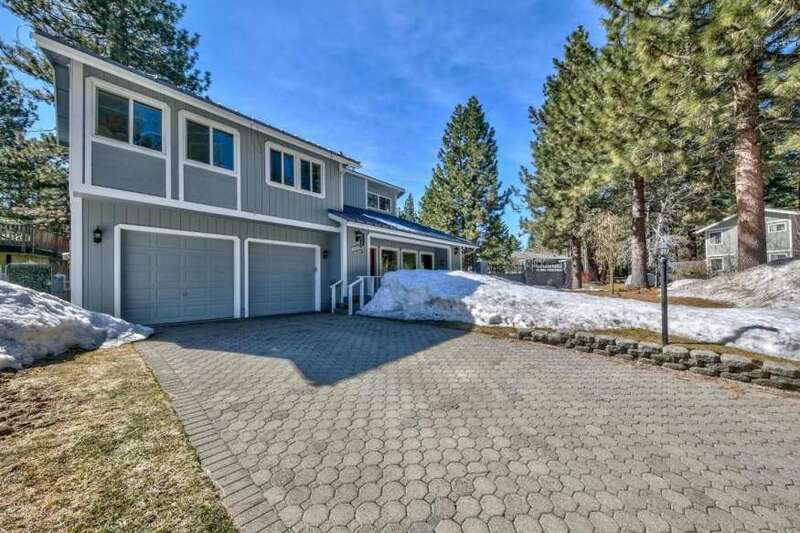 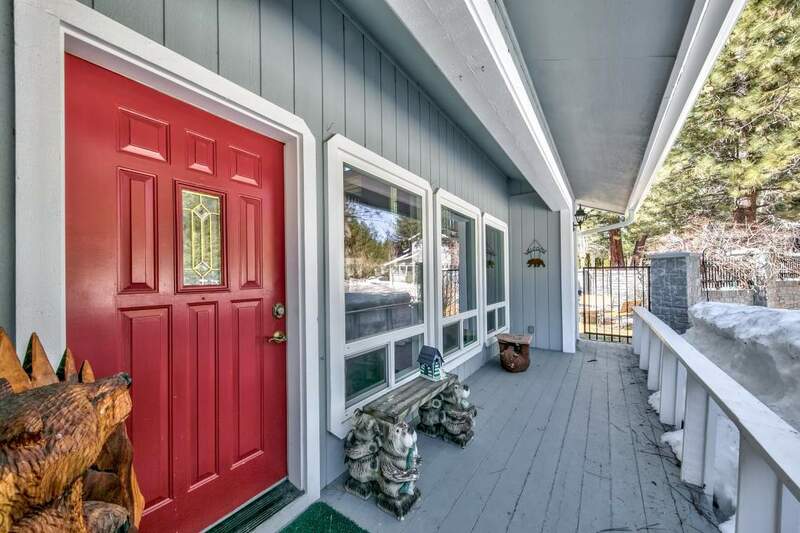 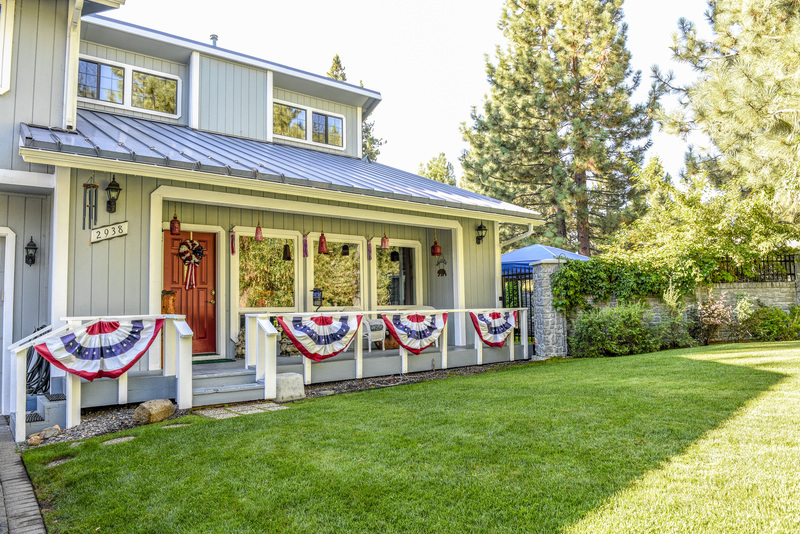 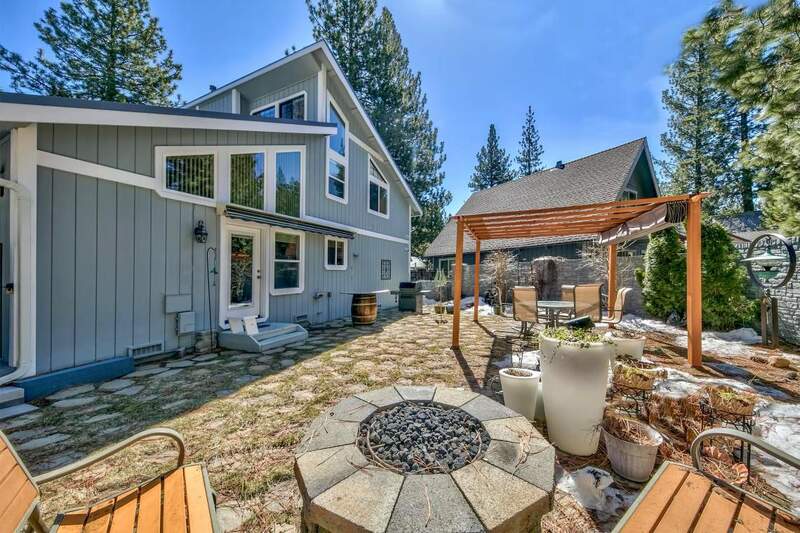 2938 Springwood, South Lake Tahoe, CA: Location is key with this One Of A Kind 4 bedroom home in the lovely Highland Woods area. 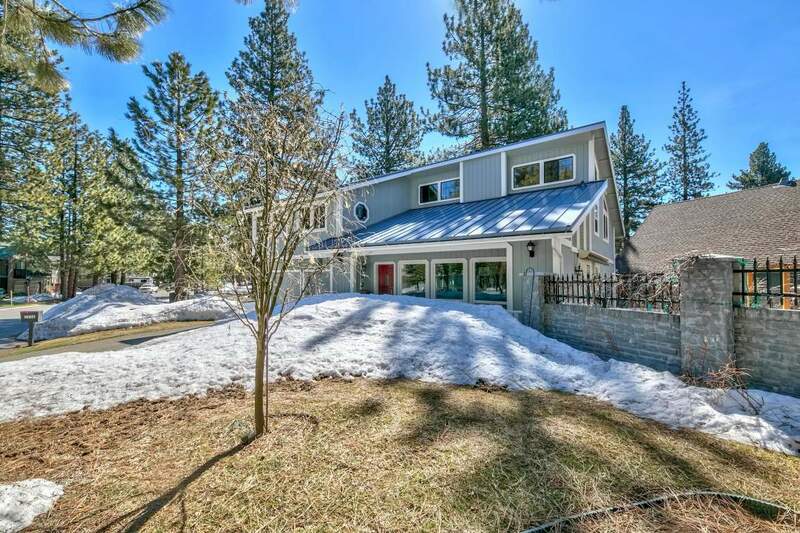 Situated diagonally on a large corner lot steps from the gorgeous Johnson Meadow, this home offers a serene sense of privacy. 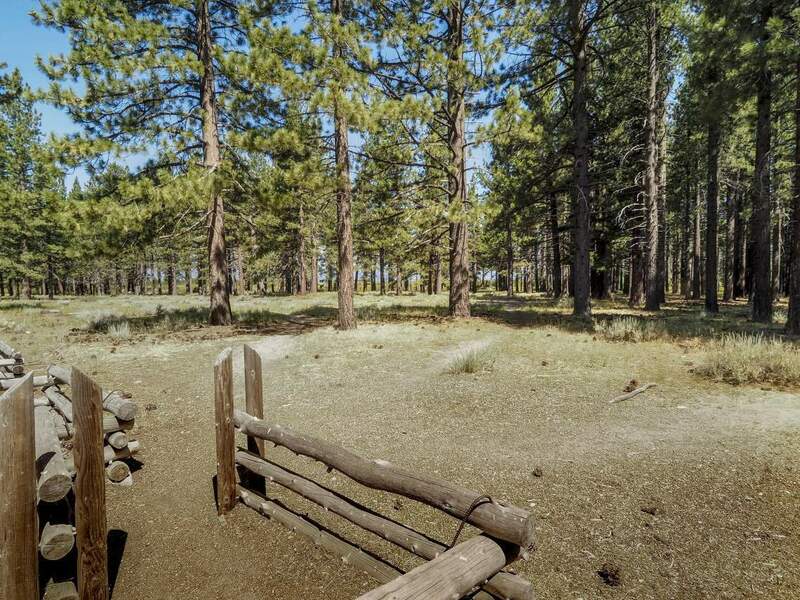 There are even some filtered lake views through the meadow. 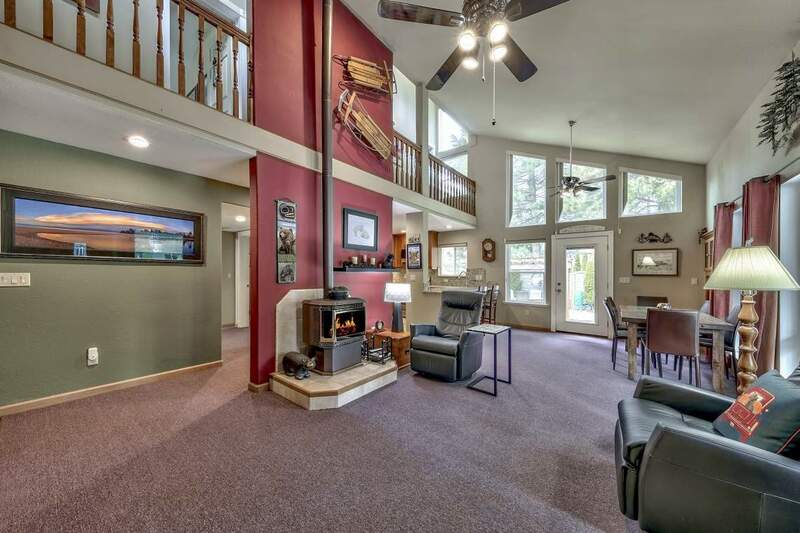 The living room’s vaulted ceilings together with the newer tall windows, enhances the abundance of natural light and the surrounding views. 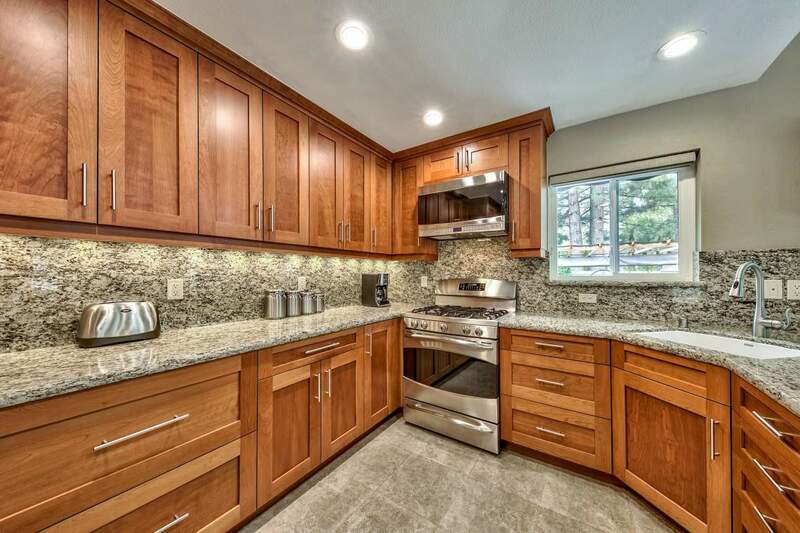 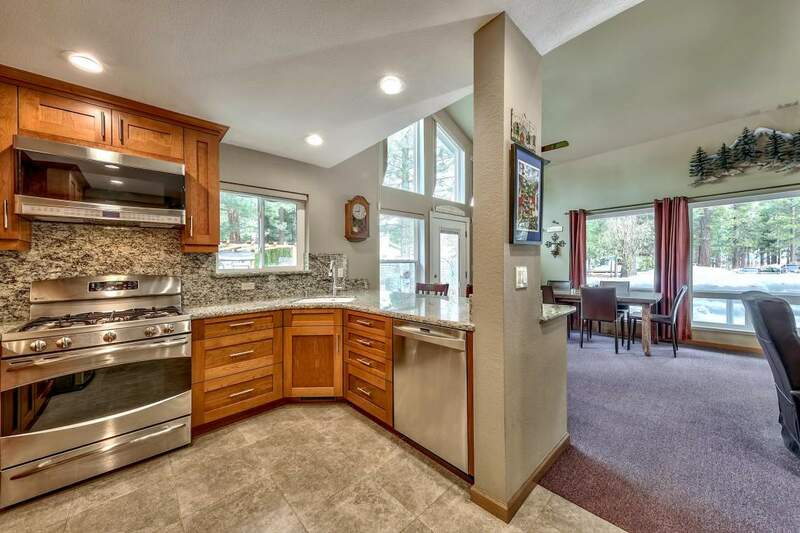 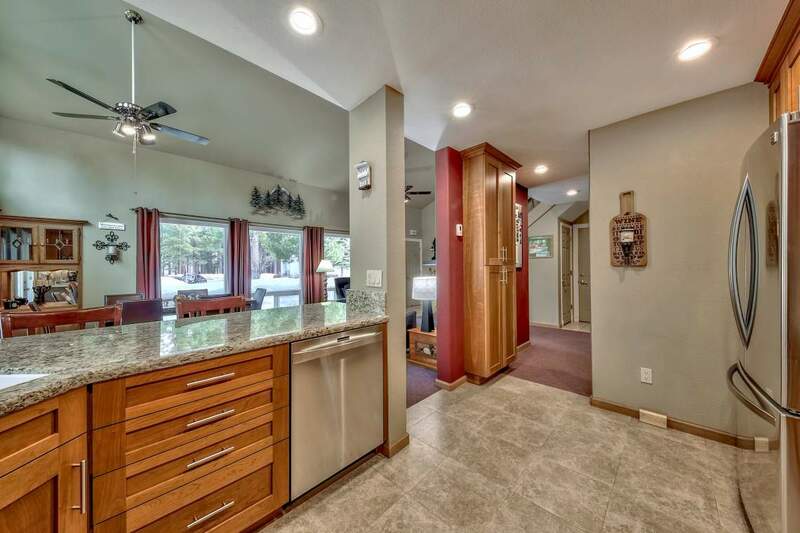 The updated kitchen features stainless steel appliances, wrap around granite counters, and cherry wood cabinets. 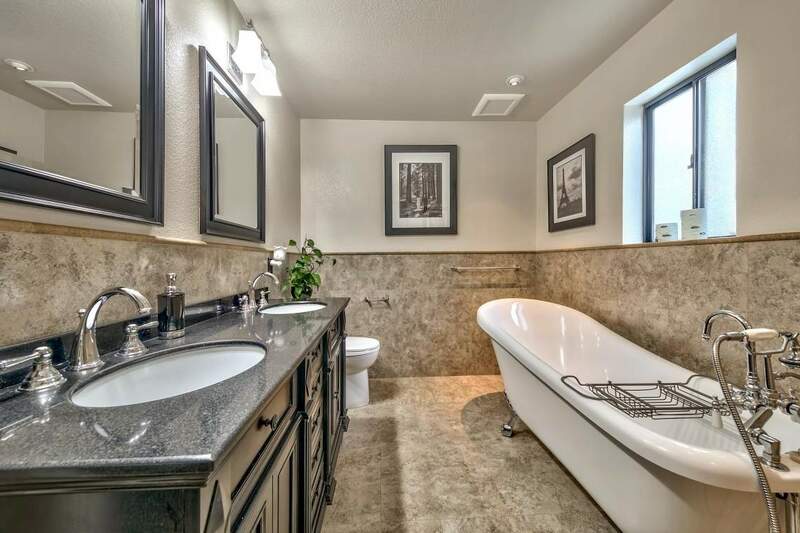 The master bath is an ideal retreat with a clawfoot slippered tub and dual sinks. 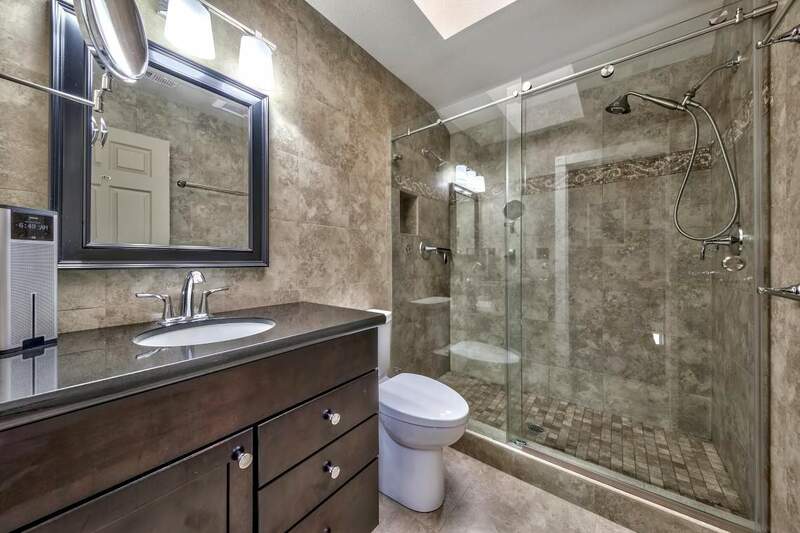 The new upstairs bathroom features a dual head shower with floor to ceiling tile and a skylight. 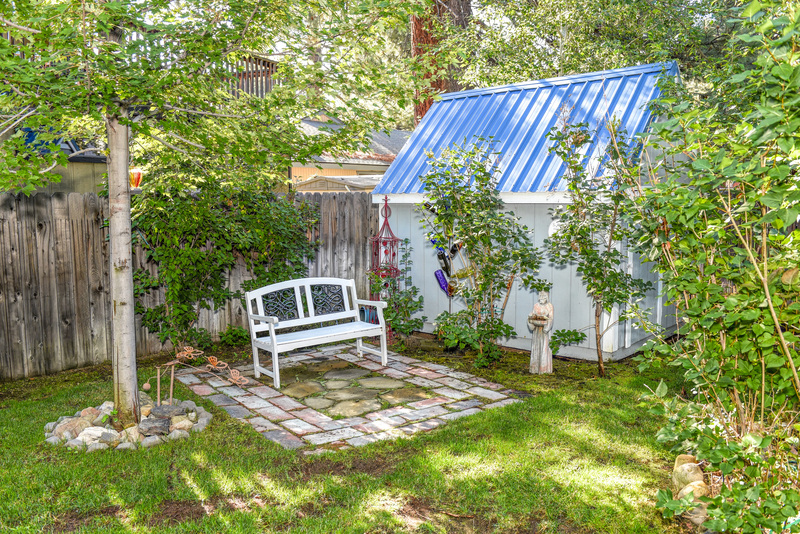 And oh what a yard! 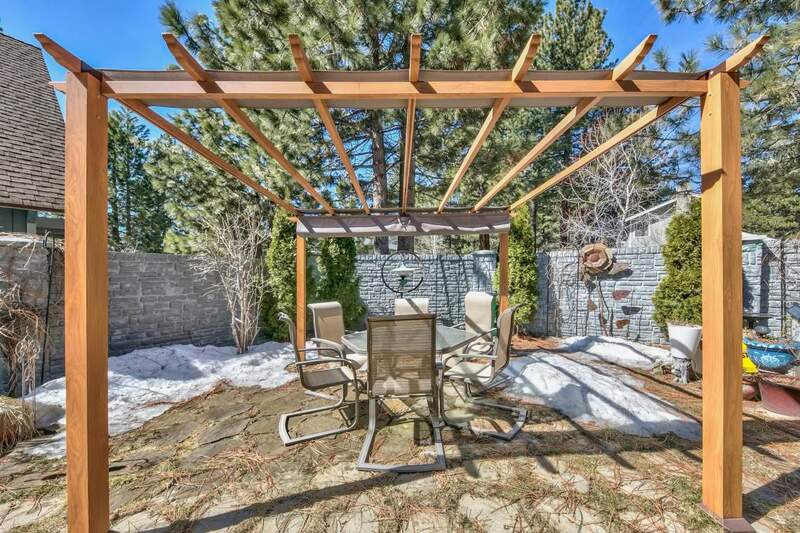 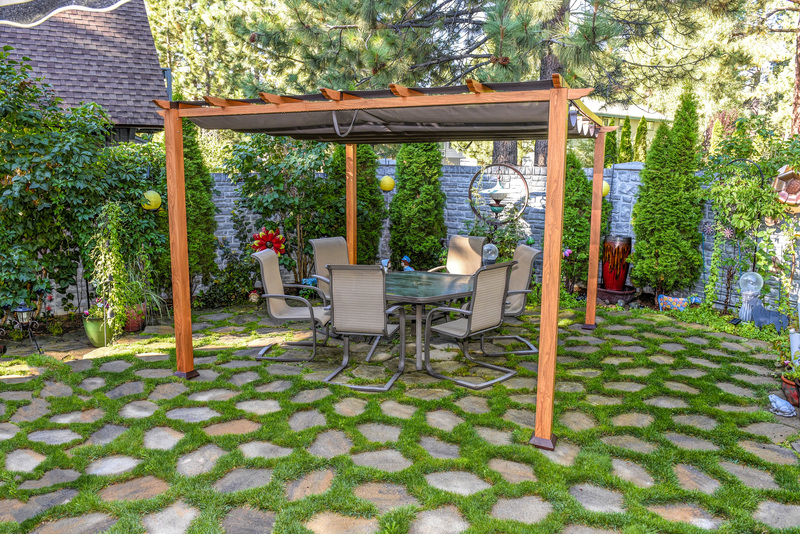 The decorative concrete brick facade wall on the corner garden features a fire pit, pergola, and gas BBQ hookup. 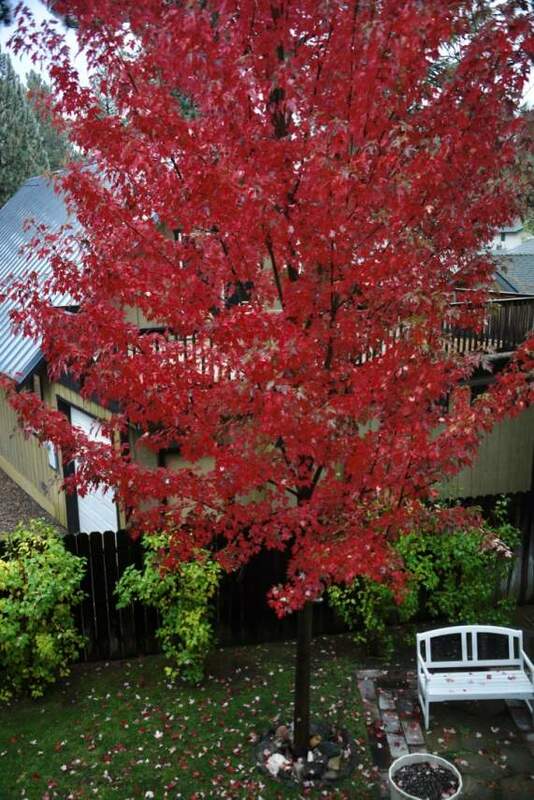 Behind the garage is a second yard area with maple and crabapple trees. 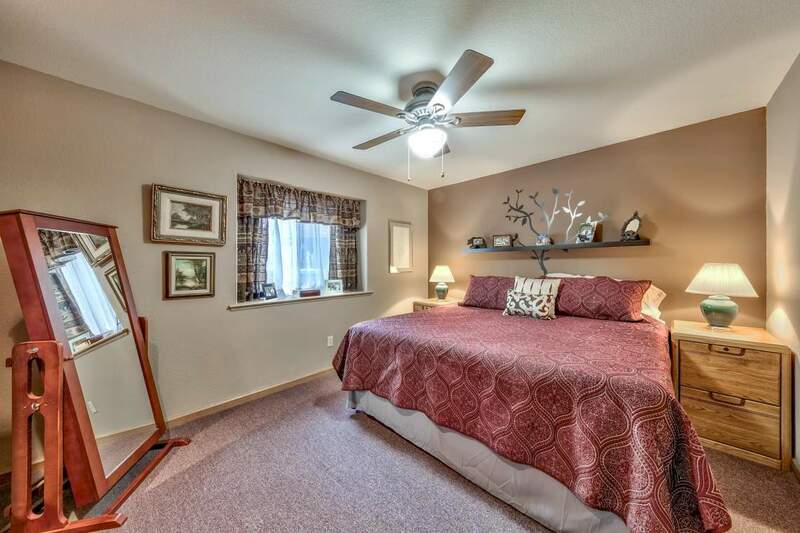 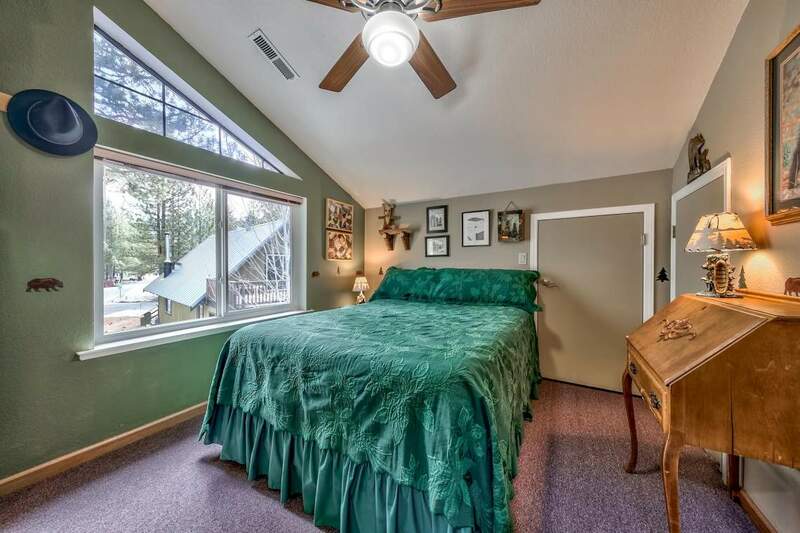 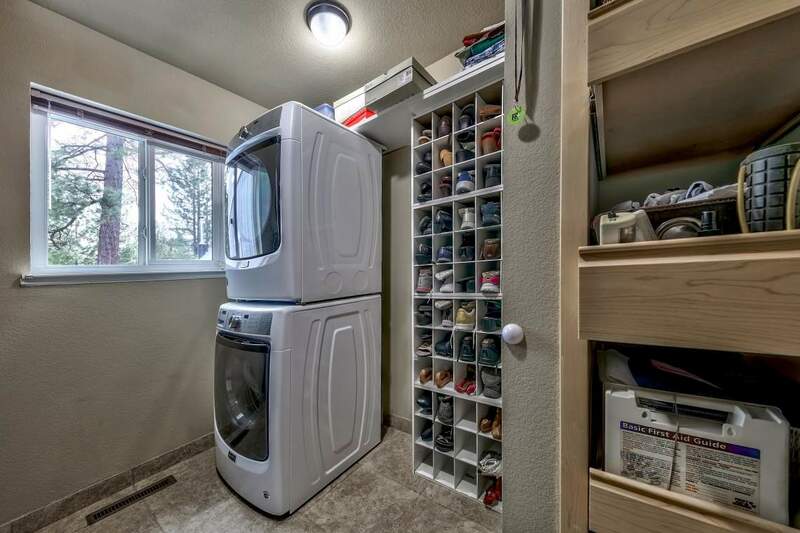 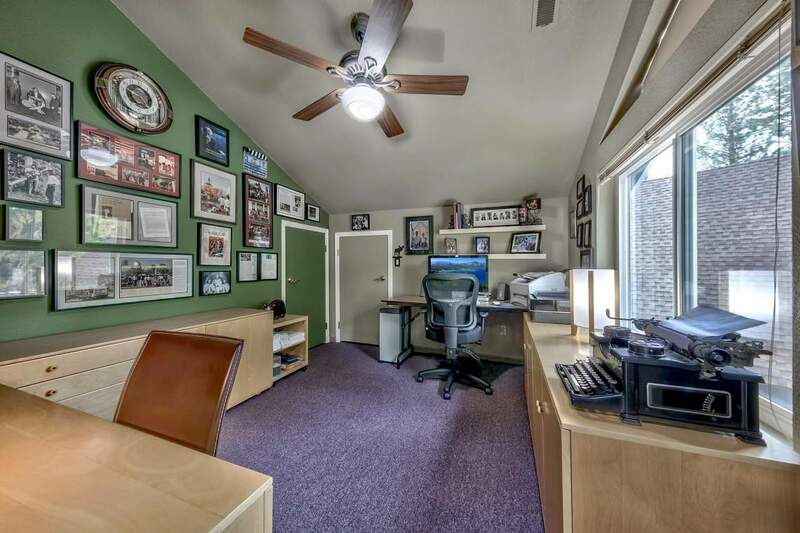 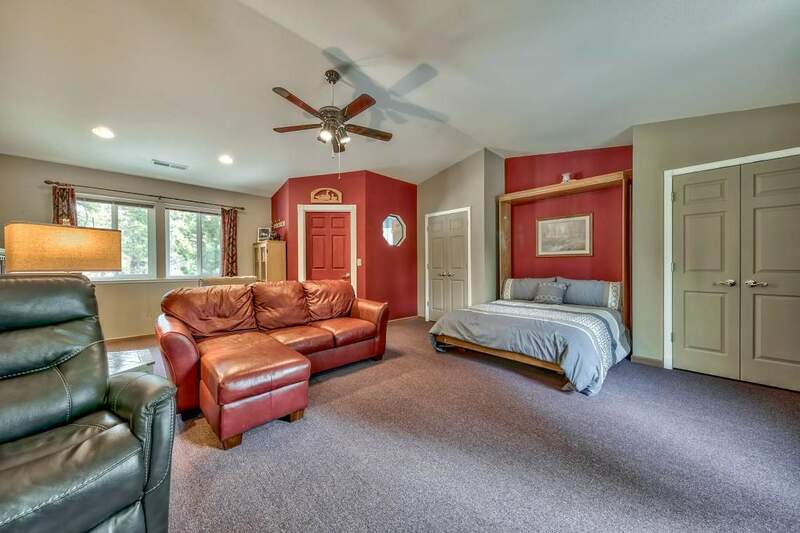 Further amenities include: the sprinkler system, a storage shed, a tankless water heater, RV parking adjacent, underground utilities and bike lanes out the door. 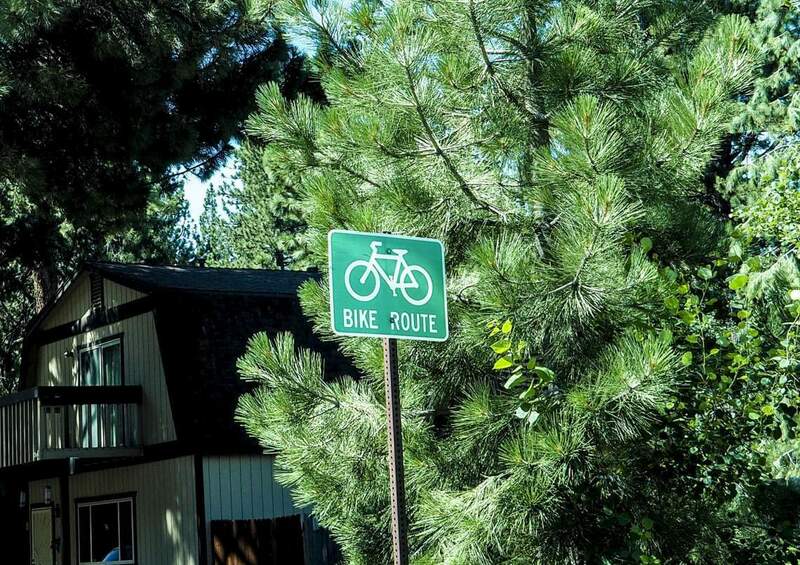 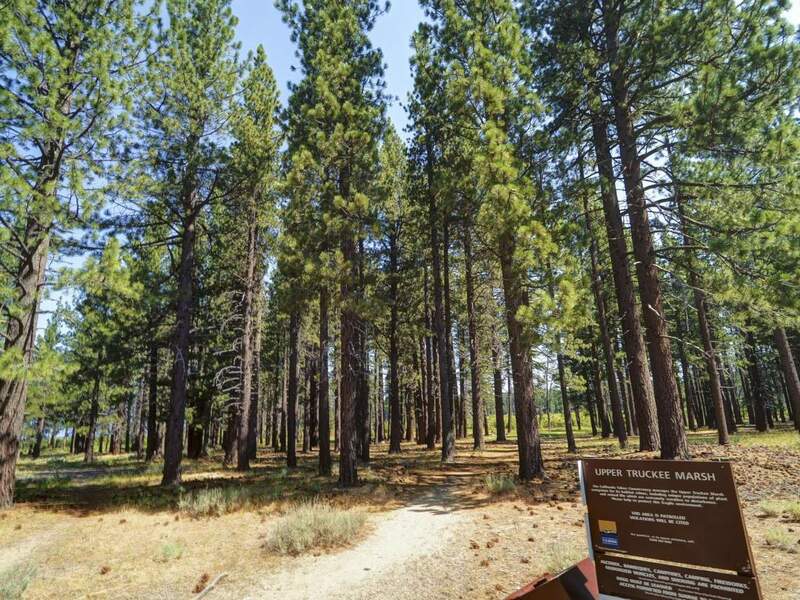 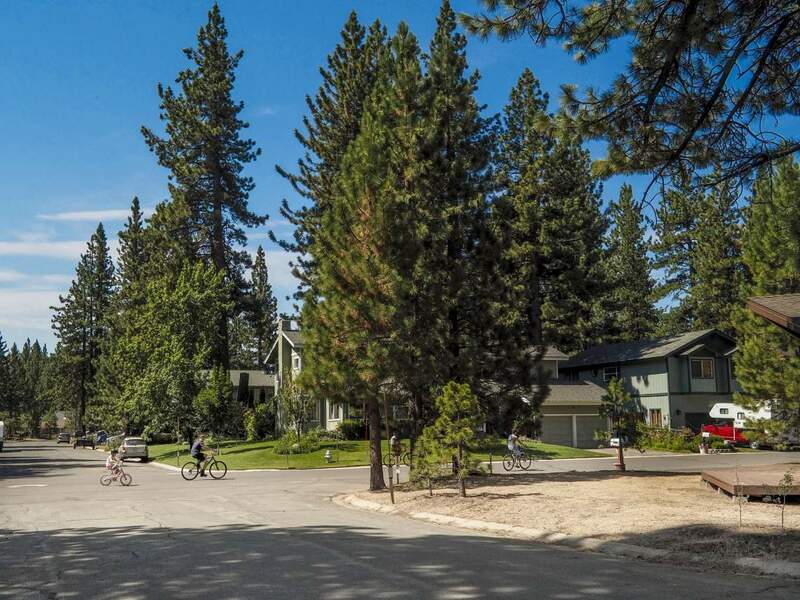 Click here for more information on the desirable Highland Woods neighborhood in South Lake Tahoe, CA. 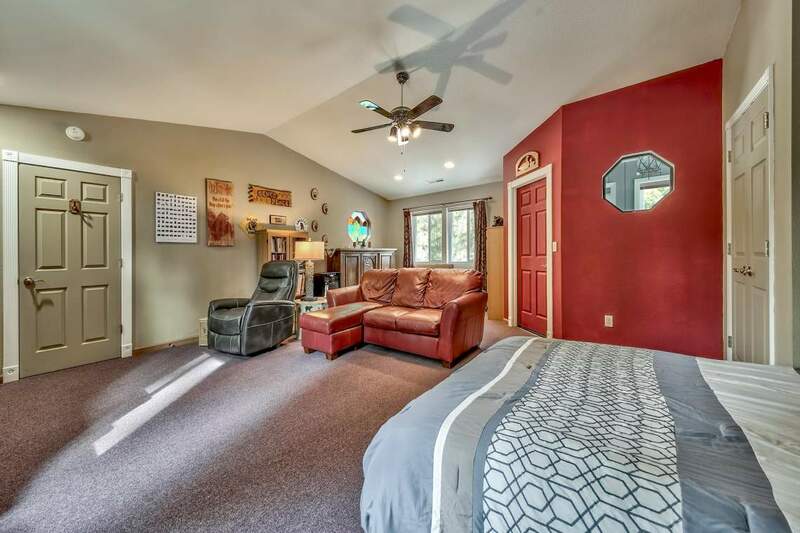 "Theresa, Don and Jaime have treated us like family and worked very hard to find us a house that is a good fit in a neighborhood that also fits our day to day needs. 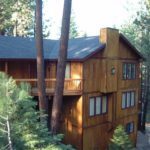 Theresa really paid attention to the clues we gave her, and since we knew nothing about the Tahoe neighborhoods, she and Don showed us nearly everyone one of them and gave us tons of details about the layout to help us make a practical decision. 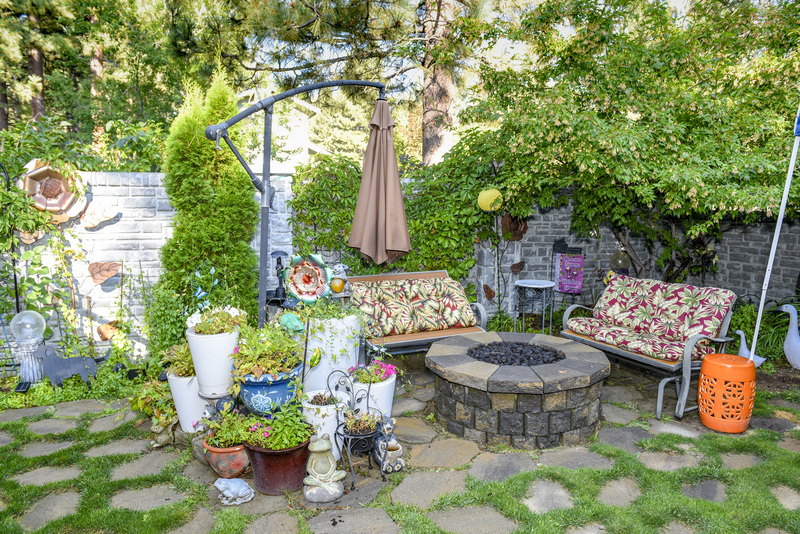 We were so glad the Souers Team helped... continued"